Ever been out and about, on the train or in the office when you have just needed to get a bit of shut eye? 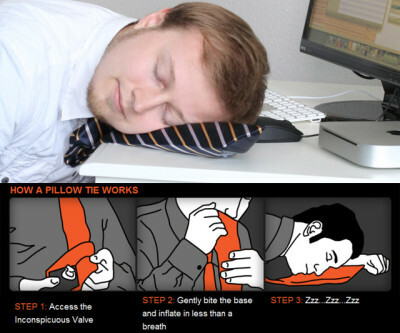 Well now you can with the neck tie pillow! Embedded within this tie is an inflatable cushion that will comfort your head and help you get that much needed power nap. A perfect last minute gift for any Dad that is always on the go this Father’s day! Previous PostTop 5 Most Terrifying Places On Earth! Next PostTop 5 Theme Parks You Won’t Believe Exist!